This year Chinese New Years is Tuesday Feb 5, 2019. It’s the year of the PIG. This is a very superstitious holiday and celebrated all month. It’s one of my favorite holidays because of the traditions and rituals. The first week is the most important and you’ll want to do a few things before the 1st day. Clean your house. You don’t want to clean or sweep for the first 3 days otherwise you’ll sweep away your good luck. Pay off debt as much as possible. Wear red or something that makes you feel good/powerful. Eat something sweet to remind you life is sweet. If you are open for business, direct the energy to be prosperous otherwise you’ll have bad luck all year. There are many more traditions and rituals. What I’ve come to realize is it’s about bringing good energy together for that day. The good energy can activate you, strengthen you, inspired you, and make you come to realize how blessed you are. 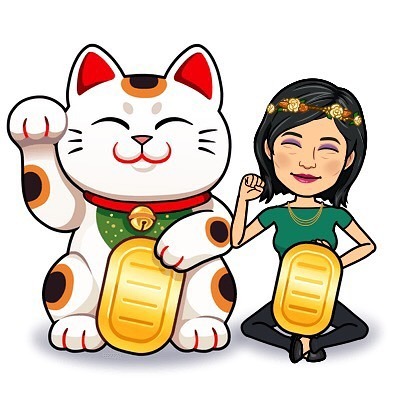 So I’m doing a LUCKY CAT contest to increase your luck and mine. If you write a review for So You Boutique on google or yelp, I’ll do a mini clearing for you. I’ll also put your name in for a drawing for an energy clearing and face reading. Remote work can be done with both of these. You can also book a Chinese face reading, energy healing, or space clearing to shift your energy and also get some insight needed for this year’s energy for you. If you happen to win, it’s just a BONUS! 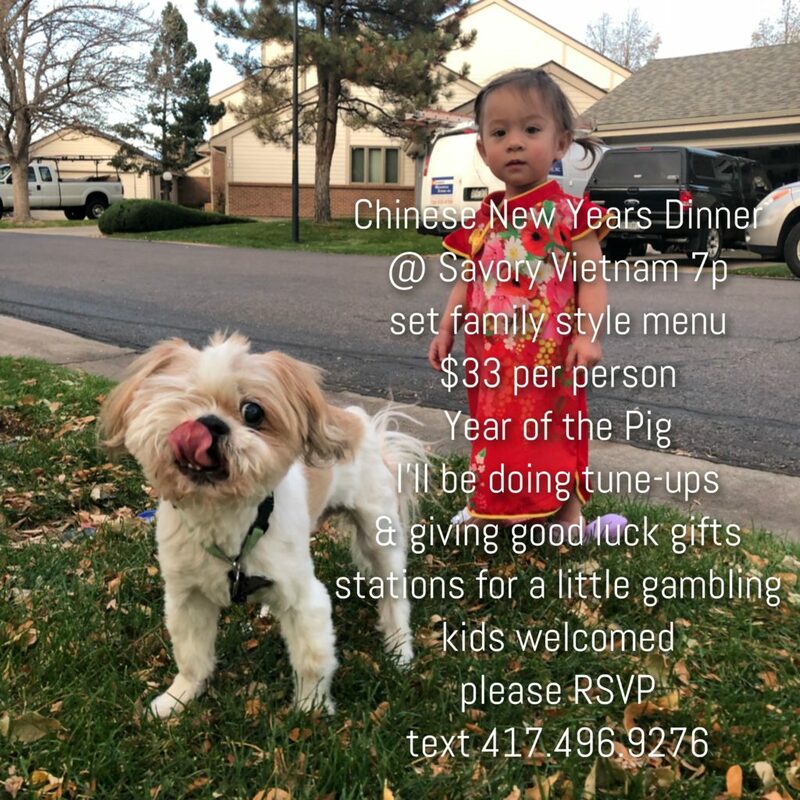 I’m hosting a Chinese New Years dinner at Savory Vietnam on Feb. 5th 7-9P. It’s a 6 coarse family style meal. Dinner is served at 7P. Please let me know by Sunday Feb 3rd so I can give a head count to the restaurant. It’s one of my funnest events. Come early for the stations and tune up clearings. I stopped doing it a few years ago because I had a baby. A memory popped up on my Facebook reminding me how great the event is. Spirit told me its time again to host it. The right people will show up for the celebration, connections, food, love, and traditions. Savory Vietnam is a new restaurant that my friend An opened. This was not in her plans. When I saw her May 2018, I told her it was her year to “GO FOR IT.” Things would open up for her. One of the things I suggested was for her to cut her hair. She had really long hair but it held a lot of sadness, grief, stagnation, guilt, and worry. When she had enough of the bad luck, she cut off her hair in November. She texted me she really believes the doors opened for her when she cut off her hair like I suggested. You’ll really enjoy the food and festivities. Hope you can make it.